The Bluetooth Special Interest Group (SIG) unveiled more information about its forthcoming Bluetooth Core Specification Version 4.0, with the hallmark feature of low energy technology. 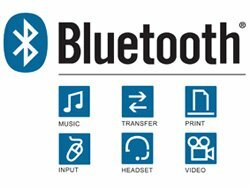 Bluetooth v4.0 is expected to be brought to market by the end of Q2. LG Electronics has integrated Broadcom’s advanced Bluetooth technology into a new line of digital televisions (DTVs) that are now shipping. Having Bluetooth connectivity in its LH70 TV line of digital televisions allows the sets to connect with a wide range of Bluetooth devices, such as wireless stereo headphones and cell phones. Blu-Ray may still be absent from most people’s living rooms – but Panasonic is offering a pair of dash-mountable devices for those who need their high-def fix in the car. The CN-HX3000D Windows-powered device, with a 7-inch, 1280 x 720 display offering GPS, Bluetooth, a 40GB hard drive, and iPod/iPhone compatibility. Want VoIP Calls On Your Bluetooth Headset? Callpod has launched a "plug-and-play" Bluetooth device that connects with a headset or headphones to provide streaming music and voice over a 100 meter (328ft) range. Called the Drone, it plugs into the USB port of a computer and audio is routed automatically. Samsung has launched the i8510, its first 8-megapixel camera phone, which comes with autofocus features, face recognition, image stabilizer, and flash. The smartphone uses the Symbian v9.3 operating system and features on-board software that allows users to edit and personalise photos. 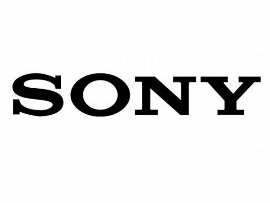 A report from ABI Research shows that cameras, Bluetooth, and music top consumers’ lists as “must have” features on mobile phones.